The recent reports of Burger King selling Whoppers contaminated with horse meat in the U.K. has got everyone’s stomach churching, but with Oklahoma’s recent push to reopen horse slaughterhouses this problem may not be as far away from home as we’d like to think. Since the closing of U.S. horse slaughterhouses in 2007, rural lawmakers have been lobbying to lift the ban on selling and producing horse meat, which has been in effect in Oklahoma since 1963. Why? The argument is simple, as a result of extreme drought the U.S. cattle herd is the smallest its been in six decades and for states like Oklahoma which depend on the cattle industry this is bad news. With the knowledge that over 140,000 horses are shipped from the U.S. to Mexico and Canada for slaughter to be sold in Japan and the European Union, coupled with the 45,000 mustangs being kept in long-term pins in Oklahoma at the expense of taxpayers, state Senator Mark Allen among others sees this as an opportunity to capitalize on an increasingly popular trade. So what does this have to do with you? If you’re a burger-lover the answer is a lot. U.S. horses are some of the most highly medicated in the world and are frequently treated with drugs banned by the FDA for use in any food animals. An example of one of these drugs is known human carcinogen, Phenylbutazone. The average burger is composed of a mixture of various edible scraps of meat from multiple cows, from multiple plants, and even from multiple countries combined with some additional fat and additives for flavor. 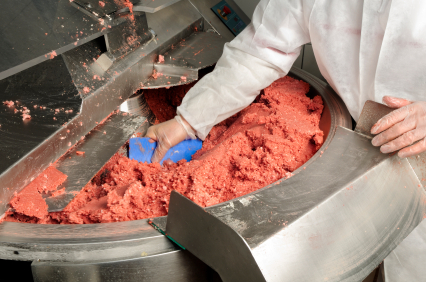 Unfortunately for people who aren’t interested in eat horse meat in their burgers, this production process is not without it’s flaws which explains how horse meat found it’s way into Burger King’s Whoppers. Luckily for all of the Passanante’s food delivery customers, the passing of the Oklahoma bill will not in any way impact the burgers you enjoy, but the same cannot be said for our friends who still depend on large corporate meat companies for their favorite foods. Passanante’s Home Food Service prides itself on delivering the highest quality organic veggies and meats and we look forward to continuing to impress you and your family with our 100% product guarantee. This entry was posted in Food Safety and tagged Food Delivery Service, Horse meat, Horse Slaughterhouses, Passanante's Home Food Service, product guarantee by Passanante's Home Food Service. Bookmark the permalink.